The city's Public Works Department is on standby to monitor heavy surf and erosion. Not everyone in the Bay Area will be welcoming the rain this weekend. 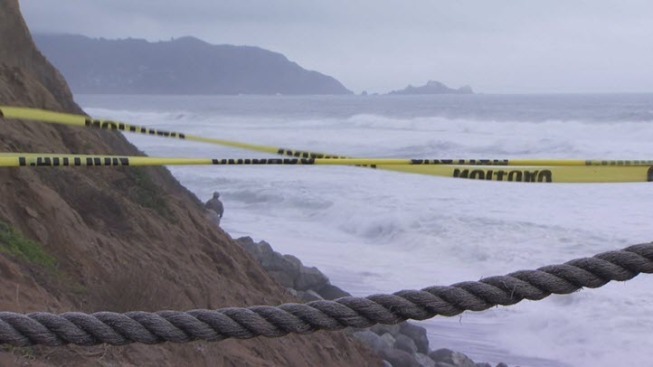 In Pacifica, the city's Public Works Department is on standby because the storms mean heavy surf and more coastal erosion. Several residents are on edge as they can see their homes slipping away. "All of us here, we are scared," said Juan Serrano, a Pacifica resident who lives across the street from the ocean. Serrano is one of many residents who feel it is just a matter of time until they have to seek a safer place to live. City officials said all 25 members of its Public Works Department and a geologist consultant are on call around the clock until the storms are gone, which is standard procedure for the Peninsula city under siege. "I am rethinking the longevity in which I would like to stay in this place," Pacifica-resident Nina Robin said. Robin lives in an apartment complex next to where crews have been working night and day to build a sea wall to protect the base of the cliff. The are is down the street from where a disintegrating cliff forced the city to red tag an entire apartment complex. Robin hopes if the cliff does give way, her unit will be among the last in the complex to fall into the ocean.